Living as an “Ohi-Tuckian” both in the city of Cincinnati and in the country near Boone County, Kentucky, I’ve had three enduring loves… science, motors and sports. I grew up with six sisters; half of whom were better athletes than me. My sister Jenny ruptured her ACL playing basketball, had a hamstring graft that stretched out and now lives with an unstable, swollen osteoarthritic knee. The genesis of this study was a dream I had that included, believe it or not, science, motors and sports! We previously understood the four-to-six fold greater risk of an ACL tear in women was coincident with adolescent growth, and we could reduce these risks by 62 percent with neuromuscular training targeted for specific imbalances (ligament, quadriceps, leg and trunk dominance). The development of imbalances was coincident with adolescent growth in girls. What we didn’t know yet were the how and why of this critical problem, hence the repeated puzzling that led to my dream and the basis of a five year, $3.9 Million NIH grant we secured – aimed at “Identifying Females at High Risk for ACL Injury.” Our recent paper, published in the December 2015 issue of MSSE, is the culmination of five years of work, in which we longitudinally studied the basketball, soccer and volleyball players in Boone County. What we observed was a machine-motor mismatch that developed as girls matured. Loads on the knee joint, as measured by knee abduction moments and angles, increased initially with rapid increases in femur and tibia lever length in both boys and girls. But these joint loads increased with peak height velocity in girls, not boys. The how and why of this increase in knee forces and torques in girls and not boys is the development of a machine-motor mismatch in girls with growth. Let’s use a car engine analogy. Consider that both pre-adolescent girls and boys have an engine that is matched to the size of their body chassis, let’s say a Chevy Geo with a Geo motor. With rapid boney growth, girls and boys get a bigger chassis, let’s say girls get an Impala and boys get a Cadillac Chassis. However, soon after the longest body bone/lever growth, boys have a great increase in muscle motor power, while girls do not. For our analogy, boys get a super-sharged Corvette Stingray motor to power their Cadillac, while girls have an Impala chassis with somewhere between a Geo and an Impala motor; Hence, a machine-motor mismatch. We’ve corroborated this difference in machine-motor mismatch in multiple cross-sectional and longitudinal studies. For example, we’ve repeatedly shown that, as boys get more massive, they can displace their centers of mass at a greater relative vertical distance (due to their Corvette Stingray motor! ), while girls stay the same, due to their Geo-Impala sized motor. This highly repeatable measure of body power shows us strong evidence for this machine-motor mismatch in these young, vulnerable athletes. The good news is there are now 14 high-level studies published in the literature that show we can reduce ACL injury risk by 62 percent. We’ve demonstrated repeatedly that neuromuscular training can induce a power spurt in these high risk athletes that both reduces their neuromuscular imbalances and their risk of an ACL injury. We now have the ability to screen athletes to identify those at high risk, and do so with high sensitivity and specificity of approximately 80 percent! Further, we now can target our neuromuscular training interventions to focus on the imbalances that place them at greater risk. And, finally, we can reduce their relative risk by 50-67 percent. In sum, dreams really can come true! 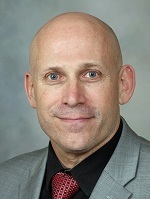 Timothy E. Hewett, Ph.D., FACSM, is director of biomechanics and a professor and consultant in the Departments of Orthopedic Surgery, Physiology and Biomedical Engineering and Physical Medicine at Mayo Clinic. He has published more than 300 peer-reviewed articles with more than 25,000 citations. He has authored a book on this topic. He is chair of the National Institutes of Health MRS Study Section and is an international expert in the field of injury prevention. This commentary presents Dr. Hewett’s views on the topic of a research article which he and his colleagues published in the December 2015 issue of Medicine & Science in Sports & Exercise® (MSSE).